Flavorful tortellini at Valentino, a sweet treat at last weekend's IndiaFest and addictive little doughnuts were our food writers' favorite eats of the week. 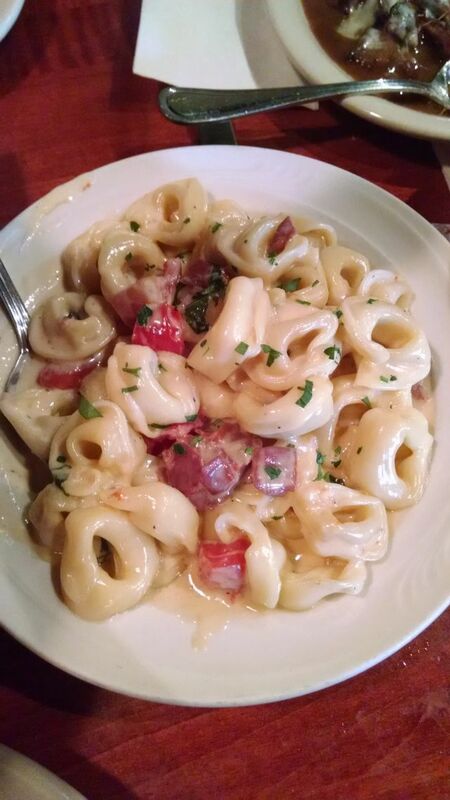 Tortellini di Pasquale at Valentino. In addition to tearing it up onstage at IndiaFest, held this past Saturday in Palmetto, we ate our way around the subcontinent, taking full advantage of the all-day party's huge selection of Indian dishes. But our favorite was dessert, which came courtesy of Bradenton's Big Cow Creamery. The malai kulfi ($3) mixes ice cream made from non-fat milk with cardamom and ground pistachios, providing a perfect sweet slurp while we marveled at the beautiful clothing, the athletic dancing and the improbable yoga poses. The yellowfin tuna preparation at Veronica Fish & Oyster changes weekly, but order it no matter what--we loved a recent iteration, which featured the fish simply seared atop a bed of creamy farro with just a hint of orange chili to brighten up the flavor. We dare you not to polish off a whole bag of Meaney’s Mini Donuts in one sitting—these light, almost beignet-like little treats are totally addictive. Best bet: classic powdered sugar, although it's hard to go wrong with any of the flavors. And at six for $2.75, they're a total steal.